Posted by Derek Bruff on Monday, September 12, 2011 in News. 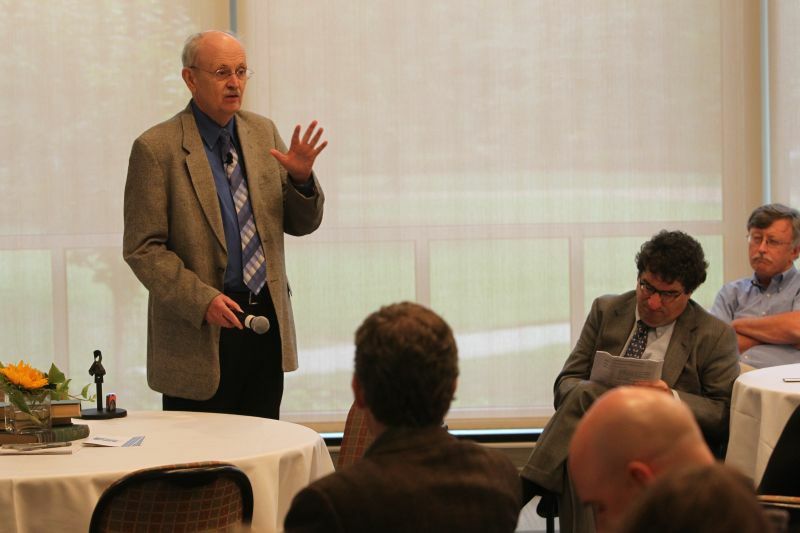 Last week the CFT celebrated its 25th anniversary with two big campus events: a keynote talk by Ken Bain, founding director of the CFT and author of What the Best College Teachers Do, and a half-day symposium on the future of teaching at Vanderbilt. In this post, I’ll share a few highlights from Ken’s talk. Look for more posts here on the blog over the coming weeks exploring other aspects of these events. In his talk, “How to Foster Deep Learning,” Ken Bain shared findings from a fifteen-year study of some of the best college instructors in the country, along with important principles about how people learn drawn from the field of cognitive science. 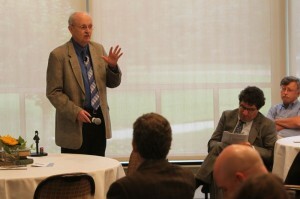 Ken described three types of learning behaviors–strategic learning (mastering just enough material to get the A), surface learning (mastering just enough material to avoid the F), and deep learning (learning that involves conceptual understanding and critical thinking and leads to “adaptive expertise”). Ken said that deep learning is the kind of learning we want from our students, but that “schooling” often drives our students to strategic or surface learning strategies. We are all born as deep learners; we enter the world curious about it and our place in it. “When you look at your students,” he said, “remember that each one has a five-year-old inside, full of wonder.” Extrinsic motivations, like grades and career ambitions, have been shown to decrease our intrinsic motivations to learn. How can instructors counteract these external motivations and foster deep learning? Ken said, “People learn deeply when they engage problems that they personally find important, intriguing, or just beautiful.” By creating what Ken called “expectation failures,” we can help our students see that their mental models of how the world works are insufficient. Changing those mental models is hard work, however, so students need to grapple with big, interesting questions to motivate them to persevere. What are the big, interesting questions that your course will help your students answer? Thanks to Ken for joining our anniversary celebration and for sharing such a powerful keynote with our campus.